juanrga: Researchgate: Are you kidding? I lack a Researchgate account, but I noticed that Researchgate has created a fake profile about me where they are archiving works from mine whereas miss-attributing one of them to inexistent coworkers. 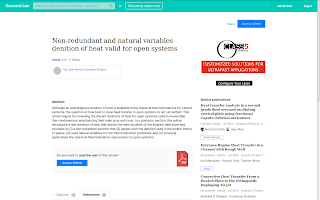 My paper published on the International Journal of Thermodynamics is miss-attributed to two inexistent coworkers Juan Ramon and Callen Casas-Vazquez, when I am the only author. I tried to join up to correct this blatant error, but due to lacking an institutional email, my request wasn't processed automatically but followed a manual verification procedure. I provided links to my published works and links to the works already archived by Researchgate. Moreover, during the process, the software automatically found some other works from mine. Thank you for your interest in ResearchGate. Unfortunately we were unable to approve your account request. Thanks for getting in touch. When browsing ResearchGate you might come across a profile or publications in your name. This is most likely an author profile. Author profiles contain bibliographic data of published and publicly available information. They exist to make claiming and adding publications to your profile easier. 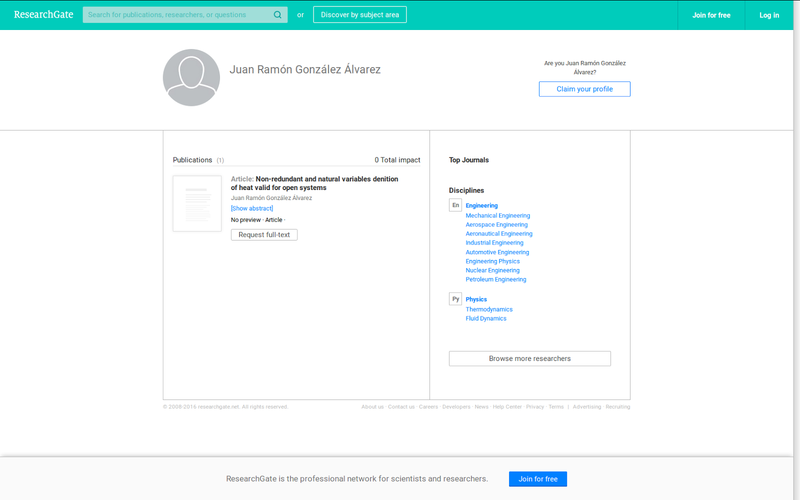 If you don't have a ResearchGate profile yet, click on the ?Are you Gonzlez lvarez?? button on the top right-hand side of the page to be guided through the sign-up process. Once you've created an account, you'll be able to manage and edit all of the publications on your profile. 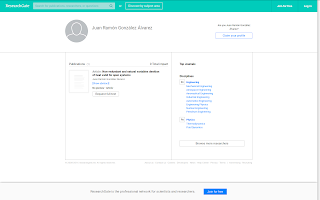 Therefore, Researchgate archives my works and automatically generates a profile about me without my permission, miss-attributes one of my works to inexistent co-workers, rejects my request to join, doesn't solve the miss-attribution issue and finally suggests me to join to edit by myself the profile. Are those guys kidding or it is just plain incompetence? Obviously you have proved your credentials as a researcher now, I would be happy to activate your account and assign these publications to your account, should you choose that option. Just for curiosity, I checked the status of the fake profile that they still maintain about me. They have changed things again. 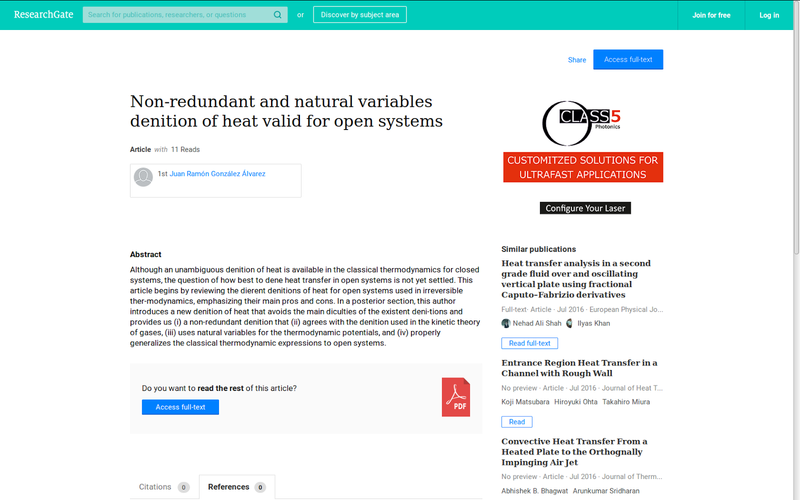 Apart from listing a set of incorrect disciplines with little to no relation to my work, now they only attribute to me a single publication, whereas my work about heat doesn't appear in my profile but appears standalone.